Jerusalem - "The Eye of the Storm!" The prophet Zechariah lived at the time of the nation’s return to the land following their 75 year captivity in Babylon. Zechariah encouraged the people to rebuild the temple, but he also prophesied of events that were far distant from his day. In Zechariah 9 – 14, two extended prophecies (oracles or burdens) provided detailed account of the first and second comings of Israel’s Messiah. The events of the first coming, which centred IN Jerusalem, were dramatically fulfilled (Zechariah 9:9); the Messiah rode into Jerusalem on a colt, the foal of a donkey. Zechariah 11: 12 - 13 the Messiah was sold for 30 pieces of silver, which were then thrown "into the house of the Lord to the potter." Zechariah’s second message in chapters 12 – 14 (Focuses on events leading up to the second coming of the Messiah). And, ground zero for these events IN Jerusalem! Jerusalem is like a volcano lying dormant for centuries and today is about to erupt! Jerusalem today is a detonating device with no fail-safe system and the collision of which will birth World War III. The last days will be a time when Israel and Jerusalem will dominate the world’s attention, though in a negative way. Nations will try to move God’s people, BUT none will succeed! While this refers to "all the nations of the earth," Zechariah also underscores Israel’s on-going conflict with her surrounding neighbours. These will be the countries with whom Israel will experience the greatest conflict, and who will suffer defeat at Israel’s hands. "Israel will consume right and left all the surrounding peoples, but Jerusalem will remain intact in her place" (Zechariah 12:6). As the end times draw near… watch the tension INCREASE between Israel and surrounding Arab nations! Much of this conflict will centre on the Arab desire to take control of Jerusalem from Israel. A peace treaty WILL be signed…! The world stands by and hold’s its collective breath whenever Israel and her neighbours are at war, because it fears two things: First, it fears that the Arab world will retaliate against the West by withholding Oil, and creating another economic crisis in the industrialized countries that are so dependent and ‘thirsty’ for OIL from the Middle East! Second, it is afraid that Israel will feel threatened enough to unleash its nuclear arsenal "Operation Samson"… and draw the rest of the world into a nuclear war. As a result, the USA, EU, UN and a number of other individual countries have proposed "their plans" to implement peace in the Middle East. And, thus far they have all failed. In its simplest terms, the "conflict" in Israel is being waged by those who are fighting (whether intentionally or not) against the God of Israel, the Creator of the universe. It is a battle, for the most part, between those of faith who believe the promises God made to Abraham, Isaac, and Jacob and those who, for whatever reasons, would prefer that Israel (i.e., the Jews) did not live on the land bordered by the Nile and Euphrates Rivers and the Mediterranean Sea and the wilderness of Jordan. The faithful Jews in Israel are obeying a direct commandment from God ("inhabit the land"). Those, on the other hand, who are fighting against God (whether intentionally or not) are trying to remove the Jewish people from the land given to them by God, especially Judea and Samaria - the very heart of Israel, Jerusalem. Jerusalem is the very heart and soul of the Jewish state! Think about this! David was a musician as well as a warrior king. With his right hand, he skilfully played the harp and sang the songs of Israel with such power that the demons of King Saul were silenced. David’s passionate message about Jerusalem was very simple and eternally profound: If I forget Jerusalem, let my right hand lose its artistic ability to play and my tongue freeze to the roof of my mouth. For a master musician not to be able to sing or to play his instrument would be a life not worth living. If Jerusalem was not the source of his deepest joy, he felt there was no need to exist. And, Jewish passion for Jerusalem has not diminished in 3,000 years. Such deep yearning persisted throughout subsequent millennia in the Diaspora as well…. "Next Year in Jerusalem" sustained the Jew throughout countless degradations and humiliations culminating in the Holocaust. There is NO Muslim parallel to these claims, despite efforts to portray Palestinian Arabs, most of who were new arrivals - settlers - in the land themselves, as replacing the Jews. Jerusalem has the most astonishing history of any city in the world… it is God’s! Jerusalem goes back four thousand years, during which the world has witnessed the birth, growth, wealth, and power of many famous capitals. Some of these nations became ‘great’ commercial centres exerting tremendous influence with notable culture, and have accumulated great wealth. One-by-one they have declined and died or have been overthrown, destroyed, forsaken, or forgotten and even their ruins have disappeared. Meanwhile, Jerusalem has undergone at least twenty-seven sieges and has been completely destroyed, abandoned, and even ploughed like a field... Yet it has risen again and again from its ruins! First reference to Jerusalem in the Bible is in Genesis 14 under its ancient name, "Salem," a word meaning "peace." Abraham the patriarch was returning from a military victory over the group of pagan kings who had invaded the country. He was met by a mysterious character named Melchizedek, king of Salem and priest of the ‘most-high’ God. The king blessed the patriarch and received tithes from him. Melchizedek marked the occasion by bringing out ‘bread and wine,’ the same elements used by Jewish people in the Passover and by Christians in the Lord's Supper today (Genesis14:17-20). Here at the beginning of the revealed history of Jerusalem we are given a glimpse of the city as it is to be during the Kingdom age. For a moment we see it as the centre of a peaceful kingdom ruled by a man whose name means "king of righteousness," and who is also king of Salem, that is, king of peace (Psalm 110:4; Hebrews 7:1-10). It is a picture of the future: "Behold, a King shall reign in righteousness" (Isaiah 32: 1), whose name will be "The Prince of Peace" (Isaiah 9:6). Jerusalem is to be His capital (Jeremiah 3:17). He will be a priest upon His throne (Zechariah 6:13). When the prophets describe Jerusalem’ as it is going to be in the millennial age they say, "The King: of Israel, even the LORD, is in the midst of thee" (Zephaniah 3:15). God chose one nation and one Land as peculiarly His own, but it is revealed that He also chose a city. There are more than thirty references to this fact…"I have chosen Jerusalem, that MY name might be there" (2 Chronicles 6:6) and… "The Lord has chosen Zion; He has desired it for his habitation" (Psalm 132:13). Furthermore, it is prophesied that "the Lord… shall choose Jerusalem again" (Zechariah 2:12), when the time has come for Him to intervene in human history. Two other important revelations about the city must be put alongside these; "The LORD has founded Zion" (Isaiah 14:32), making this the only city in the world established by the Lord Himself. Again, "Thus says the Lord GOD; this is Jerusalem: I have set it in the midst of the nations and countries that are round about her" (Ezekiel 5:5). No one but God would dare to make such a statement! The sovereign God chose the spot on which His city was to stand, at the very centre of the nations of the world. He designed the very crust of the earth in such a way as to bring about the geological changes He purposes in the day the Messiah comes to reign from Jerusalem…changes that will make this future world metropolis the joy of the whole earth! Ancient Battles for the Temple Mount… From the time Jerusalem became the capital of Israel in 1004 BC, no less than 69 battles were fought over the city. Once the Temple was constructed in Jerusalem (967–960BC), it became the central object of worship and in warfare, depending on how faithfully the Jewish nation followed God’s law. A warning about the potential for the destruction of the Temple was issued at the time of its first dedication in 960BC. 2 Chronicles 7 tells us that after the two-week-long dedication celebration had concluded, the Lord appeared one night to king Solomon, the builder of the First Temple. God told Solomon in vs. 16 that His Name, Eyes and Heart will be there forever… but warns in vs. 19 – 21 not to turn away or forsake His Statutes and Commandments! According to this warning, covenant violations would result in divine discipline in form of expulsion and exile… And, this warning was put into action for the First Temple with the Assyrian exile of the northern kingdom of Israel (722 BC) and the Babylonian exile of the southern kingdom of Judah (605-586 BC) and destruction of Jerusalem (586BC). The Second Temple was destroyed by the Roman army in AD70 followed by expulsion and exile (AD70–135)… however there was always a Jewish presence in the land. In reality, the struggles have and are centred on the "Temple Mount" have been long and continuous and embody the ongoing spiritual conflict between Israel and the nations – a conflict that will most certainly culminate in the battle for the "Last Days temple." Mark Twain once said, "all things are mortal but the Jew; all other forces pass, but he remains. What is the secret of his immortality? He has asked the right question. What is the secret of this special people? The answer lies in the Abrahamic Covenant. Long ago, God in His grace chose Israel to be His special people. Even in this present age, Israel still remains Gods chosen people, the special object of His love and concern and since this is true God WILL be faithful to all the promises that He made to Abraham, Isaac and Jacob. Therefore Israel remains the linchpin to biblical history and prophecy. God will continue to work among the Jewish people in order to bring them to faith in their Messiah Yeshua (Jesus), their Jewish King. David Ben Gurion, Israel’s first elected Prime Minister said; "Without Jerusalem, we are a body without a soul!" The Muslims want Jerusalem. The United Nations wants Jerusalem. The Roman Catholic Church wants Jerusalem. The Jews want Jerusalem. Who will finally get it? The Jews say it belongs to Israel... It was given to them by God in Covenant and still is the capital of Israel and Temple worship centre for thousands of years and has been the spiritual home of the Jewish people ever since, and is understood to be the future capital of the Messiah. The Arabs say it belongs to Islam… It is claimed by them to be the third most sacred place to Moslem believers, next to Mecca and Medina. The Papacy says it belongs to Christendom… is sacred to Christians because of both Old and New Testament associations, and is the site of the death and resurrection of Christ. The holy sites are of great concern, of which the Church of the Holy Sepulchre is supreme. The United Nations says it belongs to the world… Jerusalem is revered by the world’s three great monotheistic religions, and is critical as a hot spot that could well endanger world peace. Therefore, the U.N. wants to "internationalize" the city, so that no one ethnic or religious group would have control. So then to who will get it? The Messiah Yeshua (Jesus Christ) will… And there certainly will be no lasting peace there until He comes. So, when you "pray for the peace of Jerusalem," as admonished in Psalm 122:6, you are praying for Messiah to come and save the day. Have no fear. He is on His way! Consider this…! When the "Western (Wailing) Wall" was under Muslim Control... The entire Old City was controlled by Jordan, along with most of the biblical sites. This included the Dome of the Rock, The Temple Mount and the Western Wall. The Western Wall sometimes called the Wailing Wall as we know it is today, with its spacious plaza and daily crowds of people who come to worship and pray, can scarcely imagine what it was like before 1967! In actuality, it was described as a slum. The Arab houses were built up to within about ten feet of the Wall, and the space between was like an alley. Worse than that, all around were the odours of a latrine. The Western Wall, closed in as a dark alleyway, was deserted then. No Jews were praying at this most sacred of sites to Judaism. No young boys were performing their Bar Mitzvah rites of reading the Torah, with all their admiring family rejoicing at the Wall. It was deserted when Jordan had control of the Old City. No Jews were allowed at the Western Wall for about 20 years. 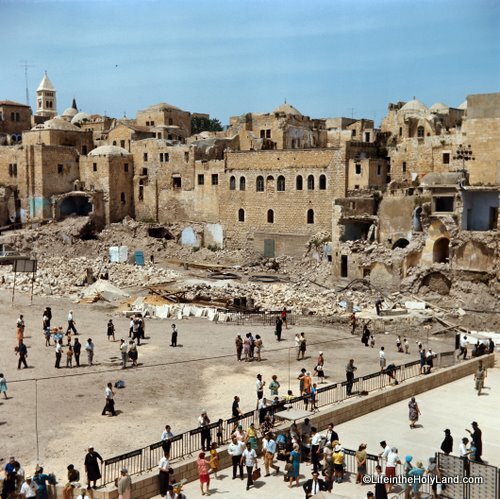 What a difference when Israel re-captured the Old City in 1967. Within months, the old slum was cleared away from the Wall, a grand plaza was established, and hundreds to thousands of people began gathering there daily to pray and worship God. Once Jerusalem was reunited under Jewish control in 1967… the Muslims had free and total access to the Dome of the Rock, the Al-Aksa Mosque, and what they claim as their holy places throughout the Land. Christians also, have had complete and unfettered access to all the important places in Israel, including the Temple Mount, the Church of the Holy Sepulchre, the Garden Tomb, the Mount of Olives, and all the Sea of Galilee amongst all other religious sites. The Babylonian Talmud codified around AD600, teaches that when the Temple was destroyed… "all the gates of heaven were closed, except for one." That is the Gate of Tears, or the Western Wall, which has also become known as the ‘Wailing Wall’ because of all the tears that Jews have shed there. On beholding the Wall pilgrim Jews tore their garments as is proper and wept a great weeping! One shudders to think of what might happen if Jerusalem were again to be taken out of the hands of the Jewish people again, even if it were placed under the U.N. or the Papacy, much less the P.L.O! Both, Christians and Jews could well find themselves having much-reduced access to the scriptural sites. Furthermore, God never gave the legal title of Jerusalem to Muslims or Christians or the United Nations. He gave the legal right to Jerusalem to Abraham and his descendants through Isaac and Jacob. What right do we have to try to nullify this grant to Israel from the Lord? The push to remove Jerusalem from Israeli Control… Our conviction, therefore, is that both the Scriptural mandates and the interests of Jews and Christians (and even peace-loving Arabs, for that matter) are best served by Jerusalem remaining in the hands of Israel until the Messiah returns... but prophetically that is sadly not going to happen! Already, for years, the U.S under two administrations and the U.N. have applied pressure on Israel to surrender strategic territory to Muslim interests. In spite of the strong reservations of many Jews and Christians, it appears that various nations and governments want to remove Jerusalem from Israeli control. This is very regrettable, and we should resist such efforts wherever possible. Nevertheless, as the Bible teaches that Jerusalem will be a cup of trembling and a burdensome stone for all the nations in the End Times, (Zechariah 12:2 -3) we should not be surprised! Most international politicians have ceased referring to Israel as a Jewish state any more. But neither has anybody yet conceded Jerusalem to the Palestinians. This is the biggest deal. The UN wants Israel to be a one-person / one-vote, secular, non-Jewish state. But no matter what - the world at large says that Israel cannot have Jerusalem and must belong to the "International Community." In God's eyes, that will never do. Everything is about Jerusalem! God placed His Name in the mountains of Zion and Moriah, and He says that Jerusalem is His. His PUBLISHED claim dates back to Melchizedek - about 3800 years ago. So, in the end, this is a showdown between God Almighty, the UN and those nations working behind the scenes to divide Jerusalem. Those willing to "wipe Israel off the map" and "send the Jews into the sea" and to prevent God from having His way… And that is what it is coming to. We must be aware that not one of the Bible Prophecies will fail (Isaiah 34:16) If Jerusalem is "ground zero" for Satan’s final assault… then it will also be "ground zero" for God’s gracious redemption. (Zechariah 14: 3 – 5) The first coming of our Lord; He came as a "humble servant and saviour" and He will return as a "man of war" and "judge!" Not much has been said negatively about the Palestinian Authority's ambition to have East Jerusalem as the capital of their planned state of Palestine. That opens another barrel of worms! Nothing but terrorism has enabled this situation to move in the direction it is now moving toward a Palestinian state. Palestinians, Arabs, and Muslims fire thousands of missiles and rockets into Israel from every direction, and bomb everything they can get a bomb to. Islam teaches that Allah is the supreme god and that Yeshua (Jesus) is NOT the Divine Son of God. He was merely a prophet, like Moses, in the long line of messengers that culminated in the final prophet Muhammad. According to Islamic teachings, Judaism was supplanted by Christianity and Christianity has been supplanted by Islam. Muslims confidentially assert that their religion is destined to triumph over its earlier ‘imperfect’ predecessors; and they believe that God has commanded them to spread the so called truth of Islam around the world. Muslim’s believe that land conquered for Allah remains the possession of Allah and no-one has the right to give it away. That’s why the Arab nations responded so hatefully to the State of Israel. And, believe that land that belonged to Allah since the earliest Muslim conquests was to be given to a people who had been rejected by Allah because of their disobedience. Thus the very existence of Israel was an intentional insult to Islam. But, if the establishment of the nation of Israel is an irritation, having the capital of that nation in Jerusalem is loathsome… and having the Jews control their so-called ‘holiest’ shrine is an utter abomination! Is the window of peace therefore closing…? Even if the peace process could somehow be restarted, is it realistic to ever think that the Israeli’s would ever trust the Palestinians as partners in peace? And, would any concessions satisfy the Palestinians whose anger seemingly borders on an insane fanaticism and hatred of Israel? No one would argue that the causes of the hostilities in the Middle East are many and incredibly complex. In fact, many say that they defy a solution. From a biblical perspective, however that answer is as old as the first murder. Cain’s lack of faith and reverence for God made His offering unacceptable, but Abel’s pleased the Lord. Blinded by jealousy, Cain killed his brother. The problem was not political, racial or religious. They were not divided by political ideologies, racial bigotry, or competing religious systems. Cain and Abel were brothers, born of the same parents. The problem was spiritual! God considered Abel’s offering acceptable but was displeased by Cain’s and that’s the problem in the Middle East today. Why did all the peace processes in the past fail? It was an attempt to apply a political solution to a spiritual problem. Will there be peace in Israel? YES, someday and perhaps even soon! But, it will not be peace on a piece of paper but it will be real peace – SHALOM. Shalom is a Hebrew word that means more than a cessation of hostilities. It is a positive word, indicating a sense of security based on a right relationship with God. 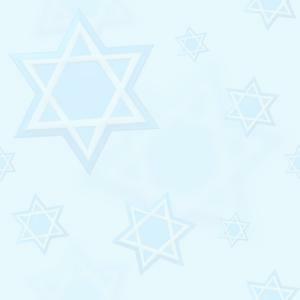 Shalom includes completeness, health, justice, prosperity, and protection. When will this happen? When the Prince of Peace, the Messiah comes a second time and He will rule with justice and righteousness, until then the City of Jerusalem will remain in the "Eye of the Storm!" Yeshua (Jesus) will bring peace to Israel and the Middle East…. The Psalmist exhorts us in Psalm 122:6 "pray for the peace (Shalom) of Jerusalem (Zion)!"